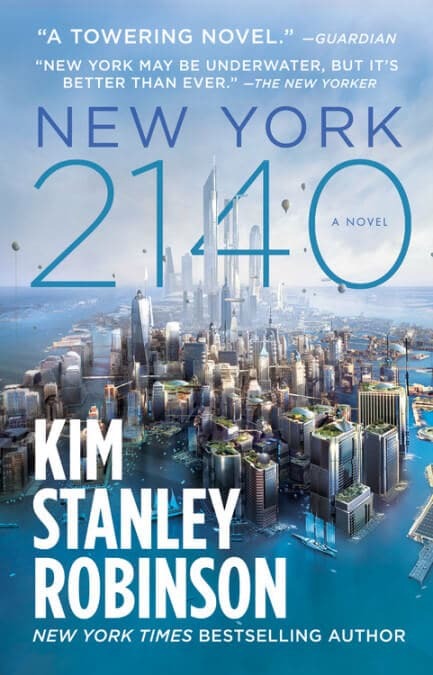 I’m in the middle of reading New York 2140 by Kim Stanley Robinson, which I bought at the excellent bookstore, WORD, in my neighborhood of Greenpoint, Brooklyn. It’s kind of weird to be toting a book on the subway with a cover depicting the city underwater. But it’s a really intriguing book of how people survive and adapt, at every economic level. As we got closer to the crash site, the ordinary ammoniac reek of a tidal flat was joined by another smell, maybe creosote, with notes of asbestos, cracked wood, smashed brick, crumbled concrete, twisted rusty steel, and the stale air of moldy rooms broken open to the day like rotten eggs. He would learn to avoid the red wine if he stayed here more than a couple of days, but only by experiencing it’s mouth-puckering tannins directly, so I nodded and walked over to fill his glass, and refill mine with the vinho verde. My kind of wine drinker. 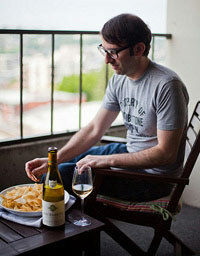 Eschews tannic beasts and prefers fizzy, light white wines. It’s always fascinating to come across passages about, or reminiscent of, wine in fiction that are trenchant and unexpected. For more of this, see my thoughts on Champagne in The Sun Also Rises.